The Millionaire Beauty Queen? 5 Questions with Beauty Queen and Entrepreneur Diana Emuge! Author Robert Greene calls it “dead time” or “alive time,” referring to the approach one takes toward their place in the workforce. To him, if your day job is something that you love, that energizes you and fills you with creativity, it’s alive time. Pretty self-explanatory: you feel alive in your work, using your talents and strengths to problem-solve and create profits for yourself and/or your company. If you hate your job, watch the clock every few minutes to see if it’s closer to 5 PM, hear the Jaws score anytime your supervisor is in the vicinity, well to Greene, that’s dead time. That doesn’t require much of an explanation either. St. Louis, Missouri native Diana Emuge understood that you can’t get dead time back. 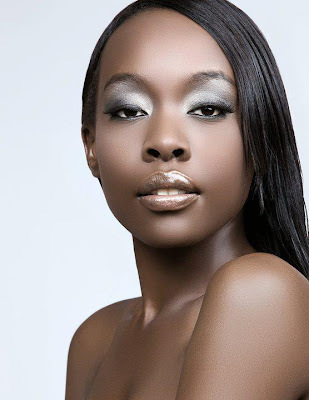 Shortly following the summer of 2012, Diana, a beauty queen that has competed in the Miss USA, Miss Black USA, and Miss America systems decided to create more alive time in her calendar. Having been in front of the camera for so long, she saw it only fit to step behind it as a businesswoman. Now her budding photography company is booming. This week, 5 Questions checks the portfolio of Diana Emuge to see just what she’s doing with all that alive time these days. 1) They say that every person needs to find what they love to do and figure out how to get paid doing it. As an entrepreneur, how has the transition from beauty queen to business owner changed you? I believe that participating in beauty pageants prepares young women to be entrepreneurs. If anything, participating in the Miss USA and Miss Black USA pageant systems has taught me how to present not only myself but also my ideas well, and in a professional manner. It (pageantry) has also taught me that as an entrepreneur you will hear several no’s. However, you only fail when you stop trying or believing in yourself. My goal as a woman period is to inspire others to keep working towards realizing their dreams despite the challenges that WILL arise. Since my last pageant I have launched my own photography company named Elai Photography. Elai means “clean beauty” in Ateso, a Ugandan language. I’m still doing a lot of groundwork, but it has been a long time dream that I’m in the position to actualize. I am blessed. 2) What sparked your interest in pageants and how did you break into the industry? I love that pageants promote beauty and strength. They celebrate whole, well-rounded women. That is what attracted me to the pageant world. When competing in pageants, the contestants are truthfully competing against the idea of their most perfect self, not against each other. I can see now that pageants force you to look within and magnify your strengths while working on areas that you may need growth in. You grow as an individual making lifelong friends in the process. 3) What was the best piece of advice someone gave you, and what advice do you have for any girls getting into pageantry? The best piece of advice I received is to just be yourself. Remain positive and have fun. When choosing your dresses, interview attire, and talent pieces really emphasize your personality cohesively in your selections. Be fierce, not passive. Remember, the judges are looking for a great, solid representative for their pageant system. Take the time to come up with a successful game plan, and really research the pageant you are entering to decide if you would be a good fit for the role. If you are going to be in a pageant, give it 100% so that you can leave without any regrets. Also, remember that just because you did not win (if that is the case), it doesn’t mean that you were not good enough. 4) With the holiday season upon us, what is your go-to beauty secret? My go-to beauty secrets include a nice moisturizing body lotion. I have noticed with cooler air my skin tends to get a bit more sensitive and dry. I love Nivea skin products. I also love the lip glosses and facials available at Victoria’s Secret and the Body Shop. 5) What’s next for you and how can supporters help? Well, I have noticed that the more support you have on social networks, the easier it is for industry professionals to acknowledge your accomplishments and to find you. It’s also a great way to rally support when looking for sponsors or votes for competitions. That being said, to my supporters, please take the time to follow me on Twitter HERE. You may also like my Facebook page HERE. I do fitness & swimsuit modeling. I am also an actress. You will find that most of my tweets or posts are centered around my endeavors and inspirational quotes. I live to inspire and appreciate my supporters. I sincerely thank you for your support. Thank you for the beautiful article. I read the others. Very inspirational. Great job sis.